An undercover agent is torn between love and fear when resurgent nationalism threatens to plunge Russia and Ukraine into ethnic warfare. Hums with the realism of tomorrow’s headlines and the suspense is as sharp as a scalpel. Well researched, compellingly plausible…the climax is explosive. The suspense is sustained to the very last page. The author’s artistry means that the book succeeds not only at the adventure tale level—gripping as the plot line is—but more profoundly… A moving, remarkable book. A plot to destabilize the newly independent Ukraine is realistic thanks to the slick writing of John Hands… It all comes together in a stirring climax which exposes the heart of post-Soviet society. A tale of growing nationalism in the nuclear-armed former Soviet republics [that] has the true whiff of danger and drama. Lurid descriptions of torture and violent death coupled with explicit sexual encounters are redeemed by a plot that grips and a final outcome which surprises and satisfies. 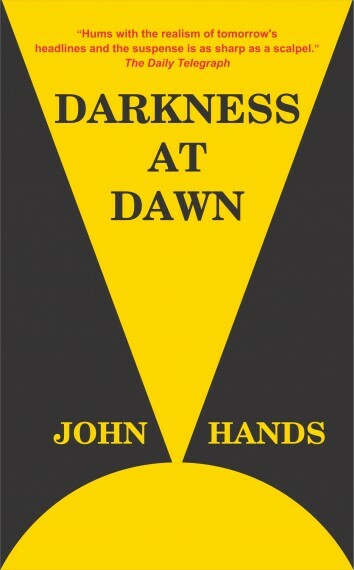 John Hands, an exciting and clever storyteller, delivers a good plot…an interesting and timely novel. Hands does not go in for long explanations, but such explanations as are necessary are beautifully handled—clearly, concisely, accurately and for the most part, in the course of conversations that do not impede the action… In short, both factually and artistically this book deserves the highest commendation.